Kurt draws from decades of experience, attention to detail, and straight forward personality as he lays it all out there in real, understandable terms. This isn't a bunch of Berimbolos intended to impress, this is real, effective Renegade jiu-jitsu! In this video: the beloved long-time Ralph Gracie black belt instructor Kurt, takes you through every detail, every position with surgical skill, showing you all the hidden points that others might miss. Do you always feel like you are the smaller, less experienced, less "talented" fighter? Kurt always did too and he was able to use a specific style to overcome bigger, stronger and younger opponents to medal at Pans 10 times. You can benefit from these old-school techniques and start having an answer everywhere, against any body type, or any belt rank! Rather than share all his knowledge in any one area, he’s opening everything and giving you an entire system to practice for success – THIS IS HIS COMPLETE GAME!! He shows you the simple steps to executing his most high percentage sweeps, and he explains how to stay cool and escape even the worst positions such as mount and side control from a huge wrestler… You’ll be able to start surprising everyone in your gym with old school brilliance that still works and with Kurt’s unmatched style that can include excellent details and even some well placed shouting and swearing – you’ll remember well what you learned..
Kurt has decades of experience as a coach, and he will bring you through each move with a clear focus (and a few jokes) so you can't miss what really matters. Every Brazilian Jiu-Jitsu practicioner, from a beginner white belt through to the senior black belts can watch this series and come away with new tricks and traps to surprise everyone! 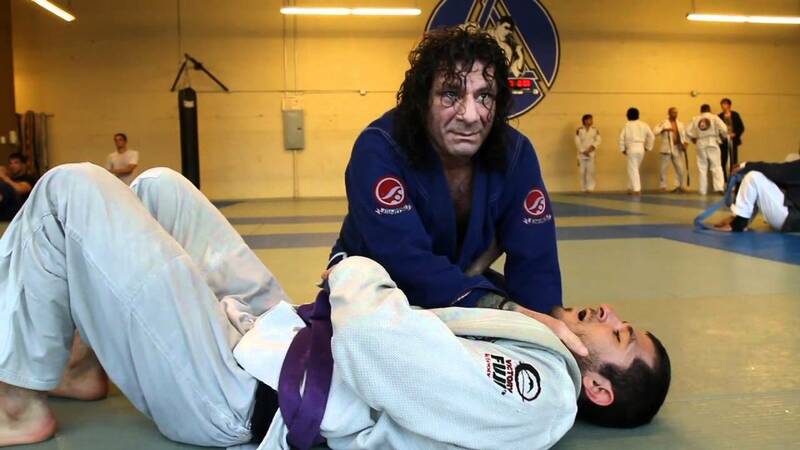 Getting a look into the mind of Kurt Osiander may sound a little... intimidating but be ready to see these moves through his eyes as he explains not only WHAT is he doing, but WHY he is doing it! Not only are you learning a move, you are learning how one of the best instructors on the planet breaks down what really matters to making any tactic successful. So What's On This Series? 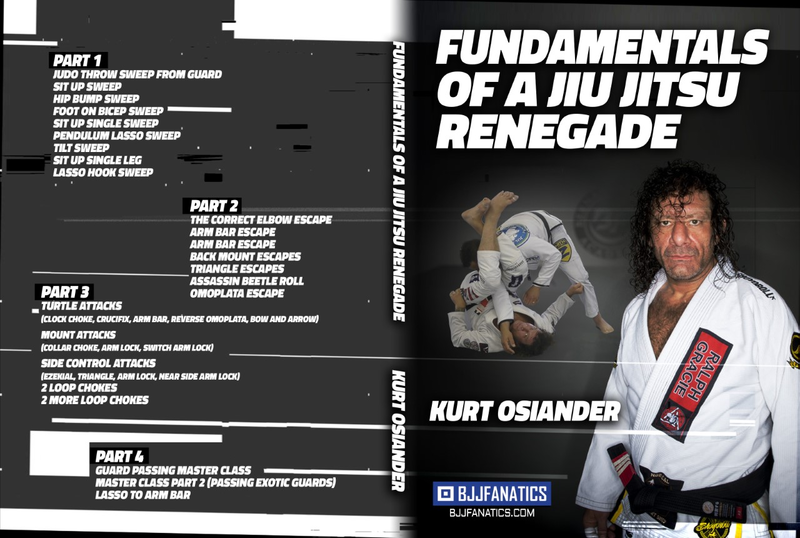 - Learn the fundamentals behind why your guard works (or doesn't work) as Kurt Osiander brings you through his most effective sweeps. He's never forcing anyone, he doesn't muscle people over, he simply sets his traps and lets THEM decide how he's going to come up on top. Kurt supercharges some of the most common sweeps with his own key details, showing you how to hip bump and scissor sweep with the best of them, with just a few simple grip and position adjustments. -See how Kurt takes a judo influence to his gripping and pulling before enters into a scissor sweep, using every bit of leverage to destabilize and control whatever poor sucker got stuck in his guard. Kurt is going to lead you through how to move (the RIGHT way) from a safe and secure closed guard to more aggressive positions like spider and lasso, while keeping ahead of the game the entire time, and then once you are there, how to turn any reaction into your own move. -Tired of getting caught in bad positions? The original Renegade tells you exactly why your escapes haven't been working, and how to fix them. 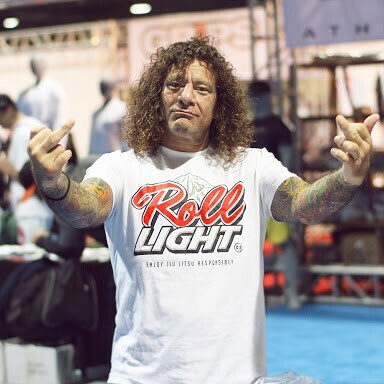 Kurt Osiander is famous for telling the jiu-jitsu world, "If you're here, you f***ed up a long time ago!" but now he's showing how to take those positions and submissions and not just survive, but thrive and escape. Kurt starts by showing the RIGHT way (not the lazy way) to elbow escape, and how he stays calm and Houdini's out of danger every time. Mounted? Get your back taken? -Ready to learn the simple way to escape mount that EVERYONE gets wrong? Kurt shows how to get every part of your body working in harmony as he moves calmly from a losing position back to safety. Find out why a bad position is like concrete, and what that means for your escape. Never live in fear of an armbar again after you see variation after variation of the effective hitchhiker escape – from an armbar, each one better than the last! -Now that you know the escapes, Kurt flips the script and gives you the best moves for breaking through your opponent's defenses, all the way to the tap. Turn your mount into a double and triple threat as you see how to move seamlessly from choke to armbar and back again and never be more than a grip away from victory when you get your hands on loop choke variation after variation that will keep everyone you face on the defensive. So What Exactly Is On This Series? Well, that depends, what is it worth to learn from one of the original gangsters of Jiu Jitsu? What is it worth to learn over 2 decades of knowledge? © Copyrights 2017 BJJ Fanatics. All rights reserved.